In this episode Andrea Tsurumi joins us as a permanent cohost, and the three of us talk with Josh Bayer about his work, his teaching, and his Kickstarter campaign for issue #4 of Suspect Device. Top image is the cover to Suspect Device #4, by Josh Bayer and Raymond Pettibon. 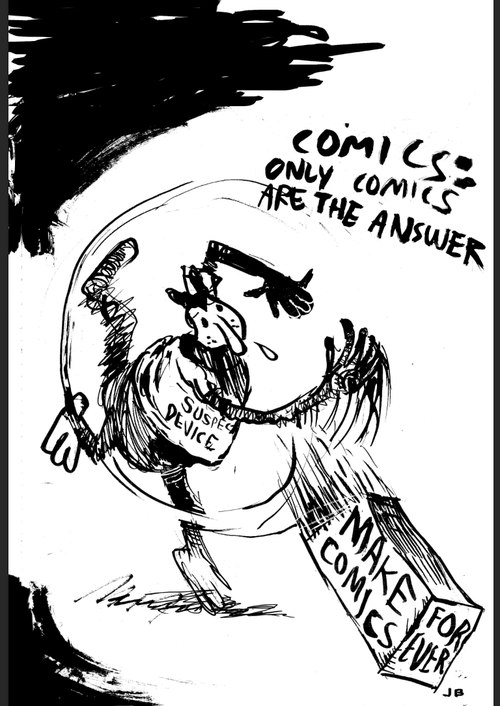 Second image is also from Suspect Device #4 by Josh Bayer. 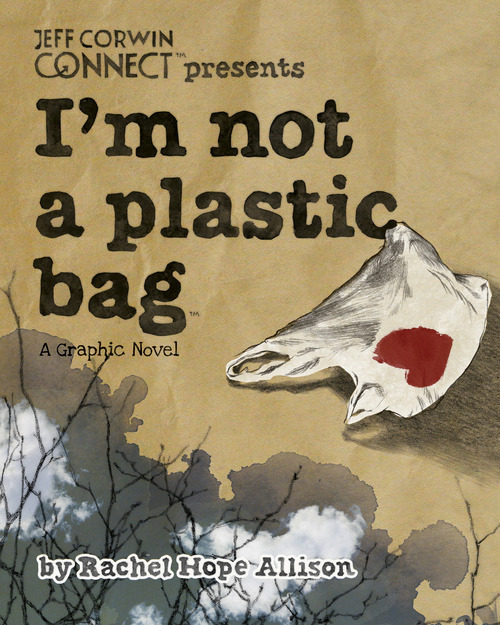 Third image is the cover to I’m Not a Plastic Bag by Rachel Hope Allison. 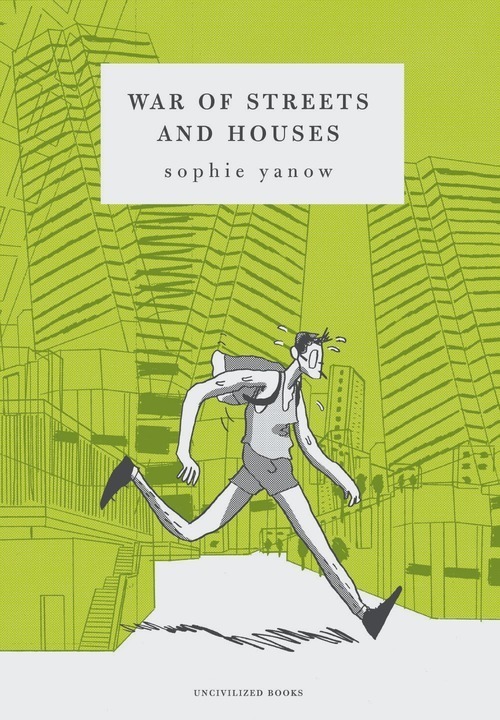 Bottom image is the cover to War of Streets and Houses by Sophie Yanow.